These are required to support Fully Automated Timing (FAT) which capture the photo finish of each race, manage the data to compile the race results with athlete’s names and event and to interface with electronic scoreboards, wind gauges and displays boards that one might have at a meet. They allow us in real-time post results to the web. The new wind gauges can function as standalone units for events such as Long Jump and Triple Jump as well automatically integrate electronically into the FAT system to provide the wind readings. The wind gauge is used to measure the wind force at the time of an event to ensure any record breaking attempt conforms or is within the required wind requirements. With more local and international events coming on our calendar we will need to ensure that all our equipment is in the best condition to support the efforts of our athletes and officials when participating in a meet. 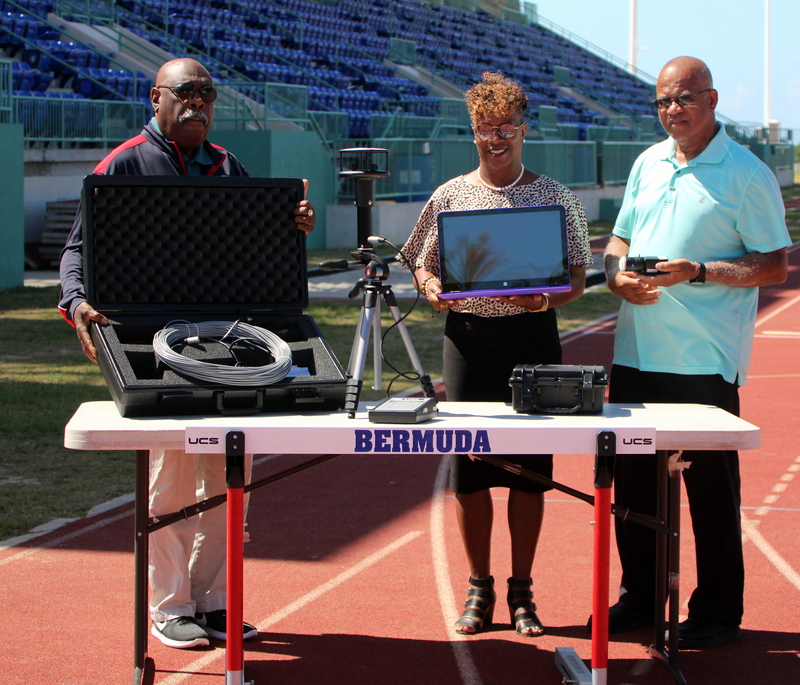 The Bermuda National Athletics Association would like to thank the Bermuda Olympic Association for Their support in managing the process.